New Delhi: The government plans to set up a 24-hour national health helpline to address medical queries of the people, the Lok Sabha was informed. Minister of State for Health Anupriya Patel said in a written reply that the facility- called ‘Doctor on Call’– will reduce the need to pay personal visit to healthcare centres and thus decrease the load on government hospitals. 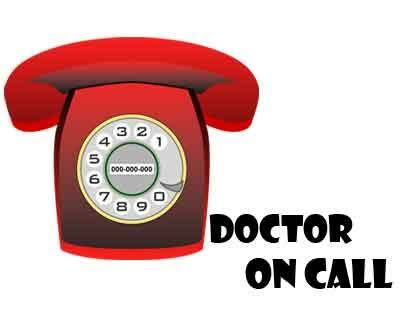 “Government proposes to start ‘Doctor on Call (DoC) 24X7 national health helpline for addressing the medical queries of citizens telephonically,” she said. The facility will also help in speedier consultations, increase government-to-citizen interaction and vice veras, and build trust in government services and deliverables, she said. “The scheme is yet to be approved by the competent authority,” Patel added. She said the government has taken steps to reduce pressure on hospitals which include strengthening of primary and sub-health centres by increasing the number of professionals in them. The government is also establishing telemedicine centres in rural areas for virtual consultations with specialists by utilizing telecom and SATCOM infrastructure, the minister said. “Online Registration System (ORS) has been introduced for scheduling appointments with doctors and specialists at major tertiary care hospitals by citizens reducing long queue and rush at hospitals,” she added. An excellent proposal,but before such a Health scheme is implemented,certain facts will have to be given serious thoughts . 1.Who are the doctors to be empaneled? —MBBS GRADUATES,WITH HOW MANY YEARS OF PRACTICE EXPERIENCE ? —SPECIALISTS / SUPER SPECIALISTS ? Clearly the consultations will be over the phone or online,either way ,without actually examining the patient personally. Approach courts for compensations, claiming wrong treatment / advice. 3.Will the Govt ensure immunity for the Doctors,in such cases. Doctors have enough problems even ethereise.So this can only add to their problems.SO IF IMMUNITY CAN NOT BE ASSURED, IT IS BETTER FOR THE GOVT TO DROP THE PROPOSAL & EVEN BETTER FOR ANY DOCTOR TO KEEP AWAY FROM THIS PROPOSAL. AS USUAL,THIS ALSO WILL BE A HALF BAKED IDEA OF THE GOVT,WITHOUT FULL STUDY OF THE IDEA !!! OK But what is d Doctor on duty–MBBS—/Specialist –or both.